The requirements listed below are special to the Department of East Asian Languages and Cultures (EALAC) and must be read in conjunction with the general requirements of the Graduate School of Arts and Sciences (GSAS). Students in the Free-Standing MA Program in East Asian Languages and Cultures may study Chinese, Japanese, Korean, Vietnamese, or Tibetan history, literature or film. The MA Program is intended for students who show academic promise but have not yet acquired the language skills or background in East Asian studies to qualify for a PhD program. It is also intended for those who have the language skills in East Asian studies but need advanced academic training in the chosen discipline. This section lists the requirements for the MA program, which is overseen by the Director of Graduate Studies (DGS) and the MA Program Director. The primary contact regarding all questions related to the requirements listed below is the MA Program Director. Note: For students who matriculated prior to September 2014, please follow the requirements in place during your first semester of enrollment, found here. For questions, please contact your MA Program Director. 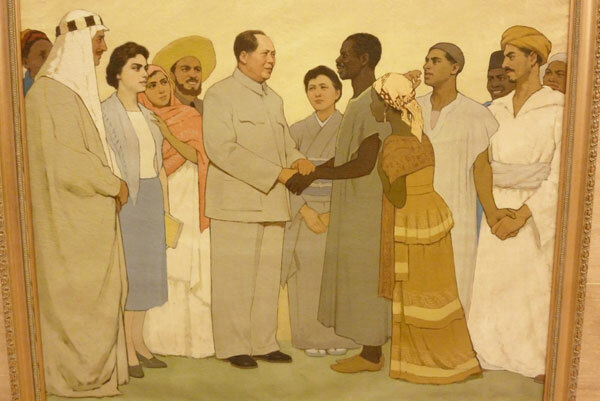 Cultural Revolution-era internationalist painting. Photo by Brian Lander. The student must take six one-semester content courses (in addition to EAAS GR6990 and GR6991, see below) for a letter grade of B or higher. Classes taken for Pass/Fail or for ‘R’ credit do not count toward the degree. This will give the student a total of 24 course credits according to the normal counting of credit/hr. All courses must be at the 4000-level and above. 4000-level courses in EALAC are graduate/advanced undergraduate seminars. 6000-level, 8000-level, and 9000-level courses in EALAC are graduate colloquia and research seminars. Students can expect the level of difficulty and amount of material in the target language to increase from the 6000 through 9000 levels. The student is strongly urged to take higher (6000-level and above) graduate level courses when possible. Any combination of EALAC graduate courses will count toward the degree. Classes can be outside the student’s area of specialization. Students may also take relevant courses in other departments, but these courses must be approved by the MA Program Director prior to registration if they are to count toward the content course requirement. Students must submit a brief rationale, the course name, instructor, course description, and syllabus (when it is available). If the course is in addition to those required by the department, no special permission is needed. EALAC offers two methodology courses in the spring semester designed for students in the EALAC MA program: EAAS GR6200, “Workshop in East Asian History”; EAAS GR6400, “Critical Approaches to East Asian Studies.” These courses will familiarize EALAC MA students with the critical approaches necessary to analyze East Asian history, literature, film, and culture in a comparative framework. These courses will also provide students with strategies for writing research papers and the MA thesis. The student is required to take the methodology course appropriate to his or her discipline, to be determined in consultation with the MA thesis advisor. The required MA methodology course does not count for one of the six required content courses. It must be taken in addition to the six content courses. Students may apply up to two semesters of Classical Chinese, two semesters of Classical Japanese, two semesters of Classical Tibetan, or one semester of Advanced Korean in Mixed Script (Korean GR8010) toward the six required content courses. One year of modern languages (Chinese, Japanese, and Korean) in the fourth- or fifth-year level can also be applied toward one of the six required content courses if the student is a non-native speaker. The total number of content courses than can be fulfilled through language courses cannot exceed two. One methodological course in language pedagogy may be accepted towards the six-course requirement. The choice of courses must be approved by the MA Director. Students of Chinese pedagogy must take seven one-semester content courses for a letter grade of B or higher. All courses must be at the 4000-level and above. Additionally, all students must register for the MA Thesis Research and MA Thesis Writing independent study courses (2 credits each, see item 2 below). This brings the total course credits to 32. The student must, under the supervision of the MA thesis advisor, write an MA thesis that makes significant use of sources in the East Asian target language. The MA thesis receives a total of 4 credits, which are divided between 1) EAAS GR6990: “MA Thesis Research” (2 credits) followed by 2) EAAS GR6991: “MA Thesis Writing” (2 credits). Both courses are taken for a letter grade. Please note that Chinese Pedagogy students must also register for these courses. 1) The student is required to register for EAAS GR6990: “MA Thesis Research,” offered in two segments from the Spring to the Fall semester, in conjunction with the methodology course. The student is required to work with his/her advisor closely to develop the thesis proposal and bibliography. The thesis proposal, in six pages, should describe the main argument, methodology, scope of sources, and scholarly contributions of the thesis, and it should be accompanied by a bibliography. 2) The MA thesis, which should be between 30 and 60 pages, must be approved by the advisor with a letter grade and submitted to the MA Program Director. Students are required to register for EAAS GR6991: “MA Thesis Writing” in order to receive credits for the thesis and to meet with their MA thesis advisors at least twice each semester. In addition to registering for individual courses, students are required to register for Residence Units (RU), which provide the basis for tuition charges. At least two full Residence Units – the equivalent of one year of full tuition – are required for the free-standing Master of Arts degree in EALAC. 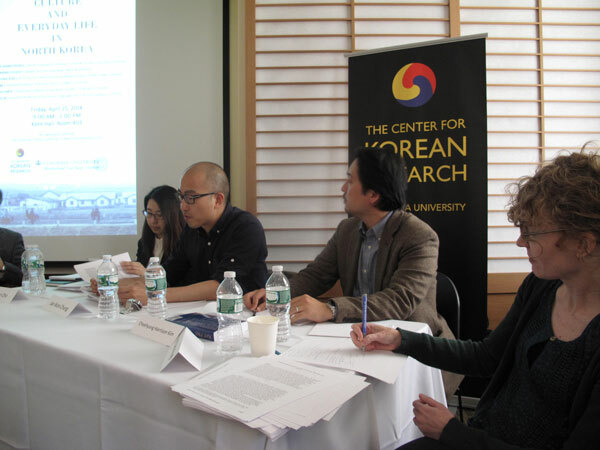 Depending on their background in East Asian studies, students take from two to four semesters to complete the MA program. Most students complete the program in two to three semesters. Although most MA students attend full-time, one may also obtain the MA degree through part-time study. Part-time students must complete the degree in no more than four years. All entering students who have received a B.A. from an institution in which instruction is conducted in a language other than English must take the American Language Program Placement Test during the registration period of the fall semester. Students who do not pass the Placement Test must, in consultation with the MA Program Director, take appropriate American Language Program courses. Entering students are required to take the language placement examination in the East Asia language of specialization at the beginning of the semester in which they enter the program, unless that language was the primary language of instruction at the institution from which they received the B.A. degree. To count toward meeting degree requirements, all language courses must be taken for a letter grade of B or higher. Three years of modern Chinese, or the equivalent demonstrated by the department’s placement exam, are required for completion of the degree. Students who remain in the program after satisfying this requirement are expected to continue language study throughout their time in the program, either at more advanced levels of Chinese or through study of an additional East Asian language. Study of classical Chinese is strongly encouraged, especially for students concentrating in literature or premodern history. Three years of modern Japanese, or the equivalent demonstrated by the department’s placement exam, are required for completion of the degree. Students who remain in the program after satisfying this requirement are expected to continue language study throughout their time in the program, either at more advanced levels of Japanese or through study of an additional East Asian language. Study of classical Japanese is strongly encouraged, especially for students concentrating in literature or premodern history. Three years of Korean, or the equivalent demonstrated by the department’s placement exam, are required for completion of the degree. Students who remain in the program after satisfying this requirement are expected to continue language study throughout their time in the program, either at more advanced levels of Korean or through study of an additional East Asian language. Two years of modern Tibetan are required. Study of classical Tibetan is strongly encouraged, especially for students concentrating in literature or history before 1950. Students who remain in the program after satisfying this requirement are expected to continue language study throughout their time in the program, either at more advanced levels of Tibetan or through study of Chinese. Three years of Vietnamese, or the equivalent demonstrated by the department’s placement exam, are required for the completion of the degree. Native or near-native fluency in modern Chinese is required. Students are also required to complete at least two semesters of classical Chinese (as outlined in the course requirements above). Full-time students in the MA program typically take 2 years (4 semesters) to complete the MA degree. According to this timeline, the first year is dedicated to course work and language training, while the second year is devoted to developing the MA thesis project. Depending on the student’s language levels coming into the program, it is possible to complete the MA degree in fewer than 4 semesters. Because a compressed timeline requires a heavy course load and advanced planning, any student wishing to expedite the MA degree must closely consult with the MA Director about their schedule. Program models, demonstrating different lengths of study, can be found here. Transfer credit may be awarded to students who have completed graduate-level coursework at Columbia while not being matriculated in GSAS (i.e., students who have completed classes in the School of Continuing Education). Students consult with the MA Program Director regarding the amount of transfer credit allowed. The Department does not offer advanced standing toward the MA. All first year MA students must attend the Orientation session, typically held at the end of August, just prior to the official start of Fall classes. Each student will arrange to meet with the MA Program Director to plan their fall course schedule, or address general issues about the structure of the program. Students of Chinese Pedagogy should meet with their director, Professor Lening Liu, who will serve as their academic advisor. Based on applications materials identifying a given student’s primary area or topic of interest, an academic advisor will be assigned to all incoming students. The academic advisor is a faculty member who is responsible for guiding the research and writing of the MA Thesis. Students should make every effort to take a course offered by their advisor during their first semester, only excepting cases where the advisor is on leave. Academic advisors should meet in person with their advisees at least twice per semester, and should be prepared to respond via e-mail to questions that may come up during summer and winter breaks as students consider their options for the upcoming semester. It is the advisee’s responsibility to get in touch with the advisor as questions arise, and to arrange for face-to-face meetings, at least once during registration, then one around the middle or toward the end of classes. The first meeting should focus on course selection, while the second meeting gives the advisee a chance to say how things are going generally, to discuss any specific issues or problems that are arising with a course or with the workload overall, and to begin to think ahead to the next term. While advisees are expected to take the initiative in scheduling meetings, advisors in turn are expected to make it a priority to find time to meet when asked, during office hours when mutually convenient, or otherwise at another time. At least twenty minutes should be blocked out for the two basic meetings each semester. Advisors should not hesitate to be in touch with the MA Program Director, the Director of Graduate Studies, or department administrators on any uncertain questions, or when an issue arises that should be brought to the attention of those who are overseeing the graduate program. Students with questions about changing advisors should consult with the MA Program Director. With the exception of the MA thesis, which may be developed from a paper originally written for course credit, no written work in the MA program may be submitted more than once for credit. Students are responsible for avoiding plagiarism and following the Graduate School’s general guidelines on academic honesty. Students and faculty should consider that both the A and the A- are truly positive grades. Grades of A- do not indicate a lack of satisfactory progress, but simply register good work that can be taken a step further in future. Grades of B+ signal work that raises concerns, and in the case of an MA student a pattern of B+ grades would indicate someone who shouldn’t go on in the program unless he or she is doing significantly better work in other courses. B is the minimum grade for counting a course toward degree requirements. GSAS has specific rules for satisfactory academic progress for MA students. Permission to register each term is contingent, in part, on judgment that progress in the degree program is satisfactory. Occasionally the EALAC department awards special honors to MA theses, in recognition of their excellence. Theses awarded departmental honors must be based on original research, and should offer new insights to the fields in which they are written. The recommendation for honors is made by the thesis advisor, in a cover letter addressed to the Director of Graduate Studies. The letter should highlight the thesis’ strength and special contributions, and establish why the thesis ranks among the top 10% of EALAC MA theses. The cover letter must be submitted together with the MA checklist and the thesis (as an electronic copy) to the appropriate MA Coordinator and the Director of Graduate Studies. The nomination is reviewed by the Director of Graduate Studies who, in consultation with the MA Coordinator, may invite a second faculty member in the relevant field to provide additional evaluation if necessary, before giving his or her final approval. The honors will be entered into the department’s permanent records, and the thesis will be preserved in the department’s archive. Students will receive official documentation from the department certifying that their MA thesis received special departmental honors. Continuous registration until all degree requirements are completed or until the time-to-degree limit has been reached is required for students in the MA program. Students who wish to take a leave of absence, withdraw from the program, or seek reinstatement should refer to the GSAS website for guidelines. MA students can apply to a PhD program in the fall semester of their first or second year in the MA program. Most students apply to a PhD program after completing the MA degree or in the second year of study. This option has the advantage that applicants will then have completed or made significant progress toward completing the MA thesis, which can be used as a writing sample. Students applying to a PhD program in their second year also have the benefit of a full year’s maturation of their work. Students are encouraged to submit applications to multiple institutions, as this increases the possibility of acceptance to a PhD program. Students planning to graduate in a given semester must apply to graduate through the Office of the Registrar (Application Form and Instructions) by the above dates. Students must submit their MA thesis to their advisor by the above dates. Students must submit (1) their final, advisor-approved thesis, (2) the MA Degree Requirements Checklist Form, and (3) a copy of your Columbia academic transcript (official or unofficial) to the Academic Coordinator, Kevin Stillwell, by these dates. Failure to submit both the thesis and the form by this date may result in major delays in degree conferral. Type out all information on the checklist (The pdf is editable) and print it out. Obtain the signature of your thesis advisor on your completed checklist. Submit by email (1.) the final, advisor-approved version of your thesis, (2.) the completed checklist signed by your advisor, and (3.) a copy of your Columbia academic transcript (official or unofficial) to the Academic Coordinator, Kevin Stillwell, by the relevant date listed in §11. Degree Conferral Deadlines. GSAS is introducing a new matching fund for MA students who need to conduct research for their final thesis or project during the academic year or the summer months. GSAS may provide up to $250 to match the funding provided by the department/program for a given student. The application process is similar to that of the Conference Matching Travel Fund and is also published on the GSAS website. Students first submit an application form, research proposal, and budget to the department. The MA Program Director evaluates the merit of the proposal, indicates the amount of funding the department is willing to provide, and forwards the approved application to GSAS to request matching funds. Applications will be considered in the order they are received, until GSAS funds for that academic year and following summer are exhausted or the final application deadline of May 1 is reached, whichever occurs earlier. Good administrative standing entails being in compliance with all applicable administrative policies and procedures of the university. Failure to maintain good academic or administrative standing may result in academic or administrative warning, probation, suspension, or dismissal. Students who are not in good standing will be advised regarding corrective steps to take, the deadlines for doing so, and the consequences of failing to remedy the matter. A student who fails to take corrective steps within the specified time limit will be terminated from candidacy for his/her degree. In cases of evident and extreme failure to achieve progress, a student may be dismissed from the degree program without a probationary period. All students are expected to familiarize themselves with the EALAC policies and procedures. For more information regarding Good Standing please see the GSAS Policy Handbook. Students can also reach out to the MA Program Director, the DGS, and/or the Associate Director of Academic Programs.